S.O.S Fantomes (1986) : Série TV de 7 saisons et 145 épisodes diffusée sur . Casting, acteurs, bandes annonces et actualités. Les aventures de trois chercheurs en parapsychologie (Peter Venkman, Ray Stantz et Egon Spengler) qui fondent une entreprise de chasseurs de fantômes : S.O.S Fantômes. Dans cette aventure, ils recrutent Winston Zeddemore, chasseur de fantômes et Janine Melnitz, secrétaire de l'entreprise. Ils font la rencontre de Bouffe-Tout, un fantôme très gourmand. Casting de la série "S.O.S Fantomes"
S01E00 Ain't Afraid Of No Ghosts: Creating The Real Ghostbusters 00/00/0000 A spooky and fascinating look at the origins of television's most popular animated show, including revealing interviews with the producers, writers, animators, directors, voice-over actors and designers who worked behind the scenes to turn the worldwide hit Ghostbusters into the top-rated and groundbreaking The Real Ghostbusters series! S01E01 La revanche des fantômes 13/09/1986 After a trio of ghosts escape from the Containment Unit, they decide to discredit the Ghostbusters by disguising themselves as “Ghosts ? Us,” a rival ghostbusting franchise! S01E02 Question de temps 20/09/1986 The power blackouts across New York are the work of a veritable army of ghosts, but the power drain leaves the Ghostbusters' Containment Unit vulnerable! S01E03 Le voisinage de Madame Rogers 27/09/1986 The Ghostbusters are called to rid sweet old Mrs. Roger's house of ghosts, the Granny isn't what she seems, and Janine could be facing a demon in the headquarters... alone! S01E04 Bouffe-Tout, reviens à la maison 04/10/1986 After ruining Winston's birthday surprise, Slimer leaves the firehouse for good and wanders the streets of New York... where he soon joins in with a bad crowd of poltergeists! S01E05 Le Pont des Trolls 11/10/1986 A troll who has grown tired of living under the Brooklyn Bridge runs away to the city in search of good times, but when his fellow trolls take control of the Brooklyn Bridge, the Ghostbusters come to the rescue. S01E06 Echec au croque mitaine 18/10/1986 Two children turn up at the firehouse claiming that the Boogieman is living in their closet, leading the skeptical Ghostbusters on a mission to bedroom closets throughout New York, and finally into the twisted world of the Boogieman himself. S01E07 Le marchant de sable 25/10/1986 The Sandman decides that humanity might stop its warring and fighting if it had a five-hundered-year-long nap, but his sleep dust causes dreams to come to life, creating havoc for the Ghostbusters! S01E08 La nuit éternelle 01/11/1986 When ancient ruins arrive in New York for examination, the evil spirit of Samhain is released! He declares that Halloween should last forever and calls forth an army of the night! S01E09 Eh ! Ce qu'on est mal chez soi 08/11/1986 When Ray returns home to a hero's welcome, someone wants to make him look bad in front of his hometown, his childhood heartthrob and the Ghostbusters. S01E10 Le Grand Désert 15/11/1986 The Ghostbusters are flown out to Hollywood to oversee production of a movie being made about their story. On a tour of the studio they are called into action, but they're armed with fake Proton Packs by mistake! S01E11 Spectre ou ne pas spectre 22/11/1986 This flashback story reveals the origins of how and why Slimer came to live with the Ghostbusters, in events immediately following their film encounter with Gozer. S01E12 Le Genie de Janine 06/12/1986 Following her first ghostbusting job, Janine takes a brass oil lamp as payment and releases a genie and all his pals. She soon learns that the life of a Ghostbuster is never an easy one! S01E13 Joyeux Noel 13/12/1986 Zapped back in time to 1837 England, the Ghostbusters unknowingly trap the ghosts of Christmas, thereby saving Ebenezer Scrooge from his scheduled rehabilitation. The future is changed, and they must go back in time to change it back, while Egon makes an even more frightening trip... into the Containment Unit! S02E01 Toc... Toc... 14/09/1987 Janine talks Egon into visiting her family for dinner, Prompting the Ghostbusters to hire a temporary secretary who on this very day of employment must contend with imps, ghosts, a powerful demon, and Peter's advances! S02E02 Identification 15/09/1987 When Slimer passes through Egon's latest invention, he is broken up into thousands of tiny Slimers that coat the city in a layer of green goo. However, the Ghostbusters' solution to the problem only results in a large – and angrier – Slimer. S02E03 Les fantômes ne connaissent pas la musique 16/09/1987 A young man hurt by the woman he loves decides that there is far too much pain in the world and, aided by his loyal yet reluctant companion, sets about a chain of events that will bring Ragnarok, the end of the world! S02E04 Le fantôme de tante Loïs 17/09/1987 Through paranormal means, Ray's favorite comic book character, Captain Steel, comes to life, and crosses paths with the Ghostbusters. When the evil Doctor Destructo also comes to life, a hero team-up may be the only way to save the world. S02E05 Terreur dans l'océan 18/09/1987 To contribute to the Ghostbusters' finances, Slimer becomes a teenager's personal bodyguard. But he doesn't bargain on a gang of young thugs attaining bodyguards of their own… some very dangerous creatures from an abandoned subway station. S02E06 Tonton, pourquoi tu pleures ? 21/09/1987 A defrocked Tooth Fairy named Buster stumbles upon the Ghostbusters' television ad. Seeing a chance for friendship in a cold, cruel world, he moves in with them, certain he's their pal… but trouble soon follows. S02E07 Fantasmagorie dans l'espace 22/09/1987 A mysterious battle fought by the forces of good and evil is being waged within a baseball stadium. Winston is soon drafted to play on the side of good... within an individual's soul as the prize. S02E08 Jeu de nuit 23/09/1987 Egon and Janine stumble across a carnival with a rollercoaster called the Ecto-1. Egon is less than pleased with the trademark infringement, but when the ride is taken over by actual ghosts, the ride's owner capitalizes on the event for publicity. S02E09 Les fantômes repoussants 24/09/1987 Walt Fleischman, foremost cartoonist of the 1940s, has been missing for over thirty years, but strange sounds coming from his studio prompt the Ghostbusters into action. Will the Ghostbusters become cartoon characters? S02E10 L'esprit du vieux collège 25/09/1987 Deciding that a vacation is long overdue, the Ghostbusters go to Ray's cousin's farm. Unfortunately for them, the farm's former owners are rising from the dead, and they aren't too happy. S02E11 Le fantôme de l'espace 28/09/1987 When Egon is accidentally zapped by one of his own inventions on a bust, he becomes, for all intents and purposes, a ghost. Can the Ghostbusters build a replacement before Egon fades into oblivion? S02E12 Le prisonnier du temps 29/09/1987 With the city undergoing a massive surge in spectral activity the Ghostbusters have no time to take care of Janine's haunted apartment. Janine decides to tackle the job on her own… and may end up saving the day! S02E13 Peur à l'Opéra 30/09/1987 Calamari, a magician and escape-artist supreme, is being haunted by a ghost that cannot be captured in a Ghost Trap. To make matters worse, Peter has fallen through Calamari's secret cabinet into a strange dimension! S02E14 Docteur, docteur 01/10/1987 Charles Foster Hearse III, millionaire publisher of the Spooks Illustrated, challenges the Ghostbusters to a friendly competition to find out which one of them deserves to be on the cover of the next issue as "Ghost Hunter of the Year." S02E15 Surprise 02/10/1987 Long ago, Egon's ancestor Zedekiah Spengler summoned up a dragon to do his bidding. When Egon comes across the well in which the creature was put to sleep, he accidentally awakens the dragon, which assumes Egon is its father! S02E16 Le pilier de New York 05/10/1987 A mysterious stranger from a small town arrives at the Ghostbusters headquarters requesting their help. Soon, the Ghostbusters find themselves caught up in a war between two groups of vampires and the original residents of Lupusville. S02E17 La dernière page 06/10/1987 An Irish castle, moved stone-by-stone to Central Park, turns out to be haunted by ghostly warriors who don't take kindly to being relocated without their permission. The Ghostbusters are soon engaged in a battle for the possession of Manhattan! S02E18 Des poulets et des hommes 07/10/1987 Private eye Phillip Spade is surprised to find himself awake, in ghost form, after being dead for so many years. He soon realizes that he is back to solve a case that he failed to resolve while alive, now aided by four strange guys in funny jumpsuits. S02E19 Ragnarok and roll 08/10/1987 Peter's father stumbles upon a strange artifact in the Artic; a block of black ice containing a fire demon that was captured ages ago. Unfortunately, he and phony psychic Doctor Bassingame later unleash the demon into New York City! S02E20 Un Grimlin dans le moteur 09/10/1987 The Ghostbusters are puzzled when the ghost they are trying to capture on their latest bust claims to be the one who called them! Confusion and calamity follows as a real ghost tries to rid his home of fake ghosts! S02E21 La dame blanche 12/10/1987 Simon Quegg, a selfish, insolent man, was cursed 100 years ago to never reach home, and is continually pursued by a terrible specter. When Ray is accidentally exchanged for Quegg, the Ghostbusters must try to break the curse! S02E22 Un oncle de l'au-delà 13/10/1987 During a skirmish at a chemical factory, the Ghostbusters are covered with a contaminated ectoplasmic chemical... and it changes them in creepy ways! S02E23 Par un fil 14/10/1987 An unkind dying billionaire has a machine built to send his money and possessions to the other side, so that he'll have it after he dies. Unfortunately, the machine releases horrendous ghosts in exchange. S02E24 Vous ne l'emporterez pas au paradis 15/10/1987 The Ghostbusters trap a small and harmless-looking ghost at a museum, but feel guilty. Back in the firehouse he is accidentally released and they decide not to place him in the Containment Unit. But to adopt him as a pet. But Slimer soon discovers a darker side to the new tenant. S02E25 Allô, les vampires ? 16/10/1987 When a ghost is caught and trapped in a steelyard by the Ghostbusters, it appears to have been vaporized. However the ghost merges with the steel which is cut and distributed throughout the city…. And now it wants to reassemble itself! S02E26 Drool le petit lutin 19/10/1987 A man driven mad by the constant smell of chicken in his life from a nearby chicken restaurant makes a deal with a demon to rid the world of all the chickens in existence. S02E27 L'Homme qui s'était perdu 20/10/1987 Peter's con man father arrives in New York, peddling phony ghost-repellent ponchos. Meanwhile, a seafaring expedition disappears at sea in the New Jersey Parallelogram. To save the ship – and Peter's father – the Ghostbusters enter a very weird and dangerous dimension. S02E28 Le retour de Belzebuth 21/10/1987 At a haunted house, the Ghostbusters find that every hole in the wall offers an opening for ghosts to come through them! And the bigger the hole, the bigger the ghost. S02E29 Un château en Espagne 22/10/1987 When the number of ghosts across the city drops considerably, the Ghostbusters realized that they will soon be broke! But after they prevent a robbery from taking place, they reinvent themselves as... the Crime Busters! S02E30 Le cavalier sans tête 23/10/1987 When workman on the Eiffel Tower accidentally break into Monsieur Eiffel's secret lab and damage a device, thousands of ghosts are released. The Ghostbusters discover that the tower was actually a very early form of a Containment Unit! S02E31 Le grenier condamné 26/10/1987 Attending an opera, Egon and a disinterested Peter are shocked when ghostly Valkyries actually appear and create havoc. The Ghostbusters are soon facing the music... and the Valkyries! S02E32 L'autre dimension 27/10/1987 When the Necronomicon is stolen from the public library, the Ghostbusters find themselves fighting creatures in the sewers, chasing down cults, and researching comic books to help them in their mission. S02E33 SOS Fantômes fait du cinéma 28/10/1987 An Irish pop star is topping the charts, but strange things happen when she sings. The Ghostbusters discover her devastating secret, but can they stop her now that Peter has fallen hopelessly in love with her? S02E34 L'oiseau de Kildary 29/10/1987 The Ghostbusters discover a real goblin in an otherwise fake carnival sideshow, but even though they suspect it has been wreaking havoc in several towns, they are prevented from capturing it. S02E35 Janine à la rescousse 30/10/1987 The Ghostbusters are called to the hunted home of recently deceased mystery writer, Agatha Grisley. They soon learned that the specters are actually characters from Grisley's last uncompleted novel! S02E36 Les 4 cavaliers de l'apocalypse 02/11/1987 A large, inflatable balloon of Murray the Mantis becomes possessed during the balloon's appearance in a prominent New York parade. Overwhelmed, the Ghostbusters release the Stay Puft Marshmallow Man from the Containment Unit and a mighty battle begins. S02E37 La fonderie en folie 03/11/1987 A descendant of Ichabod Crane is, as his predecessors, tormented by the frequent appearances of the Headless Horseman, who attacks anyone that gets close to her. The Ghostbusters must help break the curse, but Peter's got troubles with the police! S02E38 Vive la reine 04/11/1987 Mrs. Faversham has not gone up into her attic in over thirty years, not since her father imprisoned terrible forces within the attic. Now, driven nearly mad by the sounds above her, Mrs. Faversham turns to her only hope: the Ghostbusters. S02E39 Le premier témoin 05/11/1987 When three ancient stones are reunited at a museum, dinosaurs spring back to terrifying life, and a powerful demon begins to make his presence felt. The Ghostbusters find themselves powerless, and Winston is revealed to be the only individual who can banish the demon. S02E40 La malédiction de la Saint Patrick 06/11/1987 Subway workmen accidentally open a door that unleashes all of the evil from hell and it begins to spread across New York, primarily through the subway tunnels. This time, the Ghostbusters may not come back alive! S02E41 Ils m'appellent Slimer 09/11/1987 Ray's Aunt Lois invites the Ghostbusters to a séance conducted by phony spiritualist Dr. Bassingame... but aunt Lois is soon trapped by angry spirits. S02E42 Le train fantôme 10/11/1987 A ghostly pirate crew invades New York, intent on reclaiming their lost treasure from a museum. The Ghostbusters not only find themselves outnumbered, but on occasion, outwitted by the pirate ghosts! S02E43 Petit chasseur deviendra grand 11/11/1987 In the small town of Tombstone, Arizona, the spirits of Doc Holiday and the Earps materialize, intent on recreating the gunfight at the O.K. Corral. The Ghostbusters may soon get caught in one of the greatest showdowns the west has ever seen. S02E44 La remplaçante 12/11/1987 When Egon's Uncle Cyrus comes to visit, the Ghostbusters learn that he is ashamed of his nephew's line of work. The guys decide to prove to Egon's uncle that ghosts are real, but not all goes as planned. S02E45 SOS Tour Eiffel 13/11/1987 Ray stands to inherit an old castle in Scotland on the condition that he exorcises the ghost that has plagued it for many years. But when he captures the spirit, an army of battling specters rise to cause massive destruction. S02E46 Le démon des eaux 16/11/1987 An Irish police officer in New York, the current head of his clan, is being pursued y a Bog Hound from the old country. The Ghostbusters must stop the Hound with the aid of a four-leaf clover, on St. Patrick's Day! S02E47 Règlement de comptes à SOS Corral 17/11/1987 The Ghostbusters are sent into outer space to the space platform Galileo in order to bust a particularly scary creature, while Peter is overjoyed about working under a government contract. S02E48 Les trompettes de la renommée 18/11/1987 The Canon of St Theophilus, a book missing from an abbey in Greece since the 1860s, turns up at a New York auction and is accidentally purchased by Peter. Unbeknownst to the Ghostbusters, the sealed volume contains within it the Four Horsemen of the Apocalypse. S02E49 Guimauve et compagnie 19/11/1987 Ray and Winston are talked into going on a game show by Peter, who wants the price: a holiday to Tahiti. But the show is a front for something a lot more sinister and life threatening! S02E50 Le cabinet du docteur Calimari 20/11/1987 A possessed geranium is given to the Ghostbusters as a gift, who in turn present it to Janine. The plant soon grows and begins to overthrow New York, but how do you "bust" a plant? S02E51 Nos amies les plantes 23/11/1987 Marduk, the Babylonian God of the Cities, has come to live in New York, the ultimate city in the world. But his age-old enemy has followed him, intent on mass destruction! S02E52 Une parade mouvementée 24/11/1987 The ghost of Casey Jones returns and commandeers a locomotive for one last midnight ride. Despite his love for trains, a kidnapped Peter would rather be somewhere else in case history repeats itself and the train crashes! S02E53 La foire aux fantômes 25/11/1987 After New York appears to suffer an earthquake, the ever enthusiastic Ray heads off into the sewers by himself to find out more. There, he learns that ghosts are gathering for a massive attack on the city! S02E54 Le dieu de la cité 26/11/1987 While on vacation in Louisiana, the Ghostbusters find themselves in a town under the influence of mean-spirited jazz-playing ghosts who want to turn the clock back to the 1930s. S02E55 Celui qui ne meurt pas 27/11/1987 A group of college students are being hunted by a gang of unruly frat ghosts, but the Ghostbusters find that they must help the phantoms graduate! S02E56 Le privé se rebiffe 30/11/1987 When Peter takes his date to the Cloisters in New York, warrior spirits spew forth from the tapestries with only one thing on their mind: taking Peter's date back into the tapestries with them, where she will remain forever. S02E57 Les meilleures intentions 01/12/1987 Young Kenny fancies himself a Ghostbuster, and having been given a tour of the firehouse, tries to convince his friends that he is a member of the team. In an effort to prove himself, the boy enters a haunted house with one of Egon's latest inventions. S02E58 La roulette de l'enfer 02/12/1987 A paranormal convention comes to town, but when the Ghostbusters are called into action, they are forbidden by the hotel's manager from using their technology for fear of disturbing another group… a convention for dentists! S02E59 Le maître des ombres 03/12/1987 After Peter's car explodes, the Ghostbusters travel to Detroit's Generous Motors, where the automobile assembly line has been invaded by World War II gremlins, pesky little creatures who like to take apart anything mechanical. S02E60 Le fantôme d'Egon 04/12/1987 Necksa, lord and ruler of the sea elementals, strikes out at the air-breathers who have been polluting the oceans. When the Ghostbusters attempt to stop him, Egon, Ray and Winston are swallowed by the creature, leaving Peter to save the day. S02E61 Le capitaine Steel 07/12/1987 An unscrupulous film producer reacts with unusual enthusiasm when the Ghostbusters pursue a number of ghosts on his horror movie set. The ghosts help him in exchange for doing a film of their own… a movie that will feature the destruction of the Ghostbusters! S02E62 Le joyeux fantôme 08/12/1987 A news crew, trying to create a sensationalistic story about the Ghostbusters, disrupts an experiment being conducted by Egon. Egon's soul is sucked into another dimension and a demon takes possession of his body! S02E63 Le dragon 09/12/1987 Ghosts start coming out of televisions across New York, taking the form of famous TV characters! 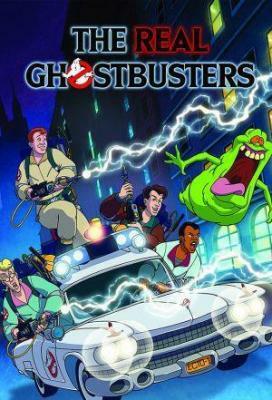 The Ghostbusters race against time to stop the spirits, while Slimer must save Peter's life. S02E64 Une si jolie ferme 10/12/1987 A large horde of demons invades the city looking for a pair of scissors once owned by the mythical Three Fates. Now, the Ghostbusters find themselves in the depths of the netherworld, racing to stop the demons from controlling the lifespans of all mankind. S02E65 Un trou dans le mur 11/12/1987 Count Vostok sends four Concorde tickets and requests that the Ghostbusters travel to Boldavia to rid his castle of a ghost. When the Ghostbusters arrive and are unable to locate a mirror, they begin to realize that things are not what they seem. S03E01 Baby Spookums 12/09/1987 During a rare eclipse of the moon, a baby ghosts slips through a dimensional crack and becomes lost in New York. The Ghostbusters adopt the cute ghost, but soon hear reports of two other ghosts causing trouble around town. S03E02 It's a Jungle Out There 19/09/1987 An incredibly powerful evil animal demon escapes from his statue prison and turns the animals of New York City into fierce, aggressive, talking beasts that proceed to take over the city. S03E03 Slimer, Is That You? 26/09/1987 During a freak accident, Egon's mind and Slimer's mind are exchanged hours before Egon is due to enter a test of mental power with the ghostly Master of Shadows. Can Egon reverse the process, even as his personality deteriorates into a quest for food? S03E04 The Boogeyman Is Back 03/10/1987 After a near-death experience atop the World Trade Center towers, Egon's fear inadvertently releases the Boogieman from his dimensional prison. The Ghostbusters follow him to a hideously converted amusement park, where he traps them with their own fear, leaving Slimer and the Junior Ghostbusters to save the day. S03E05 Once Upon a Slime 10/10/1987 Not wanting to return his favorite fairy-tale book to the library, Slimer hides it in Egon's latest invention and accidentally turns it on. The next day the fairy tales have come to life, and the fantastical beings learn that Egon's machine was designed to turn ethereal entities into solid matter! S03E06 The Two Faces of Slimer 17/10/1987 A wisp of ectoplasmic energy seeps out from the Containment Unit and merges with Slimer, turning him into a huge monstrously hungry ghosts. Can the Ghostbusters separate Slimer from this malevolent force before he is unable to return to normal? S03E07 Sticky Business 24/10/1987 A local children's hospital needs $50,000 to remain operational so the Ghostbusters make a deal to use the Stay Puft Marshmallow Man in a commercial for that amount of money. Unfortunately, when Stay Puft emerges, so does the nasty Phantom, who begins to create havoc. S03E08 Halloween II 1/2 31/10/1987 As a Halloween party takes place in the firehouse, two goblins sneak in unnoticed and release Samhain from the Containment Unit. The spirit of Halloween immediately sets up his headquarters in the firehouse and captures the Junior Ghostbusters. S03E09 Loathe Thy Neighbor 07/11/1987 A ghost is pestering the Micawbs, a family stranger than many of the busted spirits now residing in the Containment Unit. However this case proves incredibly tough for the Ghostbusters as they are kept busy sorting the weird from the paranormal! S03E10 The Grundel 14/11/1987 A young boy asks the Ghostbusters about a strange creature he has seen talking to his brother. Egon soon realizes that the boy described a Grundel, a creature who appears to young kids and turns them bad, until they become Grundels themselves. S03E11 Big Trouble With Little Slimer 21/11/1987 Walter Peck is back and out to discredit the Ghostbusters any way he can. When his efforts to expose them as frauds fail, he hits them where it hurts by taking Slimer away for government testing. Will Slimer be sent to oblivion? S03E12 The Copycat 05/12/1987 The Ghostbusters are plagued at the firehouse by a metamorph dubbed Copycat. It changes its shape to match anything, and soon there is much animosity amongst the team, as each blames the other for an act of malice! S03E13 Camping it Up 12/12/1987 The Ghostbusters head off to the woods for a camping vacation. That night, Ray scares the wits out of everyone with a spooky ghost story which inadvertently reveals a Bigfoot nearby! S04E01 The Joke's on Ray 10/09/1988 Ray inherits a joke shop from his late uncle, and armed with a big supply of practical jokes, quickly becomes a pest to his fellow Ghostbusters. But unbeknownst to Ray, two Imps that thrive on pranks were released when he took possession of the store! S04E02 Flip Side 17/09/1988 Investigating a bizarre tornado in Central Park, the Ghostbusters are tossed into another dimension, a strange place that is exactly the opposite of New York City. In a world populated by ghosts, the heroes must evade capture by their own ghostly counterparts, the human-hunting Peoplebusters! S04E03 Poultrygeist 24/09/1988 A Werechicken strikes an unsuspecting farmhouse, leaving a trail of mayhem and one very large egg. After a hungry Slimer tries to cook the egg and unintentionally hatches it, the newborn Werechicken bites Egon, turning him into a half-man, half-chicken creature! S04E04 Standing Room Only 08/10/1988 Peter creates a Ghost Attractor which lures ghosts to the firehouse like a magnet. He believes that it will not only save the Ghostbusters a lot of legwork, but that it will also make them millionaires. Things don't go as planned. S04E05 Robo-Buster 15/10/1988 Janine falls head-over-heels for a wealthy industrialist who uses her friendship to gain acess to the Ghostbusters' files, from which he creates the Robo-Buster X-1! Now, the manufacturer claims the Robo-Buster doesn't merely contain spirits.. It actually destroys them! S04E06 Short Stuff 22/10/1988 The Ghostmaster general, tired of the Ghostbusters' constant interference, sends three ghostly bounty hunters to eliminate the heroes at the firehouse. In the ensuing battle the Ghostbustesr are reduced to six inches in height! S04E07 Follow That Hearse 12/11/1988 At an Eastside wrecking yard, a pit of toxic liquid waste has an evil effect on a long dormant Indian earth spirit. When polluted, the once benign spirit rises from it's sacred resting grounds and takes possession of the Ecto-1, causing the hearse to come alive! S04E08 The Brooklyn Triangle 19/11/1988 At an excavation site in Brooklyn, workers accidentally uncover a dimensional gateway to the world where all lost objects go. The Ghostbusters are called in to help plug the ever-widening chasm and discover that the company is run by someone very close to Winston. S05E01 Something's Going Around 09/09/1989 When the mysterious Doctor McCatheter gives Louis Tully free samples of supernaturally tainted health chips, the Ghostbusters snack their way into a debilitating allergy to ghosts and ghost-fighting equipment! S05E02 Three Men and an Egon 16/09/1989 Egon accidentally gets caught in the Proton Beams along with a ghost, causing them to exchange aging processes. Egon begins regressing at an alarming rate and the Ghostbusters must reverse the process before he dissappears into nothingness! S05E03 Elementary My Dear Winston 23/09/1989 The fictional spirits of Sherlock Holmes, his trusted aide Watson, and the nefarious Moriarty materialize in Manhattan. Moriarty begins absorbing evil from various modern-day sources, determined to transform into a real, corporeal villain! Winston soon learns that the game's afoot! S05E04 If I Were a Witch Man 30/09/1989 The Ghostbusters are called to a small, New England village to exorcise a recently escaped ancient witch, Kestrel. Her intent is to exact revenge on various town descendants, including the Spengler family. Undercover in the local all-girls school, Egon is taken possession of by Kestrel! S05E05 Partners in Slime 07/10/1989 An overstuffed ghost named Poso wishes to become the ghostfather of all ghosts. He kidnaps Janine and Louis and as ransom for their release, he demands that the Ghostbusters turn over their headquarters and their ghostbusting equipment. S05E06 Future Tense 14/10/1989 After a successful bust the Ghostbusters are given a television set as thanks, but due to a piece of spectral matter that has become lodged within it, the television reveals alarming visions of the future… including the death of the Ghostbusters! S05E07 Jailbusters 21/10/1989 Due to their egos, the Ghostbusters are tricked into attending separate functions where they are each captured and swept away into the Ghostworld. There, they are subjected to a bizarre trial for their crimes against ghostkind. S05E08 Live! from Al Capone's Tomb 28/10/1989 Much to his comrades' displeasure Peter sells the Ghostbusters' television rights and telecasts the new show live from Al Capone's tomb in order to stage the fake appearance of his ghost ad midnight. Unfortunately, the real Al Capone shows up, and he's angry. S05E09 The Halloween Door 29/10/1989 The Chairman of Citizens United Against Halloween, a man named Crowley, wishes to hire the Ghostbusters to assist him in his crusade. When they refuse, Crowley mistakenly opens up the Halloween Door and breaks the underworld's ancient contract of imprisonment! The Ghostbusters must now battle Boogaloo and save the world! S05E10 Venk-Man! 11/11/1989 Peter becomes supercharged with extraordinary powers of strength and flight, but his new super powers are not without a price. S05E11 Trading Faces 18/11/1989 A bullying ghost resembling Slimer escapes from the Ghostworld through an antique mirror, then traps Slimer and Louis in Ghostworld. S05E12 Transcendental Tourists 18/11/1989 Peter, Winston and Slimer head for Mount Rushmore on a much-anticipated vacation. However, a ghost family on their centennial holiday want the place all to themselves! S05E13 Surely You Joust 25/11/1989 An ethereal baby dragon draws the Ghostbusters into a real fairy tale, complete with an evil wizard and a climactic duel pitting ancient wizardry against ghostbusting technology! S05E14 Kitty-Cornered 25/11/1989 A witch's lost black cat is found by Slimer and use its powers to grant all of Slimer's fondest wishes, resulting in chaos at the firehouse. S05E15 Slimer's Curse 02/12/1989 Slimer wins a million dollars in cash on the lottery, but everything Slimer buys with his prize money is cursed! S05E16 Til Death Do Us Part 02/12/1989 With Janine on vacation, a beautiful temporary secretary, Dixie, is hired as a substitute. Dixie, secretly a ghost, is short on office skills, but her beauty has the Ghostbusters falling over themselves to impress her. S05E17 It's About Time 09/12/1989 The firehouse, by the Mayor's mandate, must be torn down to make way for an urban renewal project. In the midst of their packing, Peter inadvertently short-circuits a Ghost Trap and catapults them all back to the year 1959! S05E18 The Ransom of Greenspud 09/12/1989 Three ghosts enter the firehouse intent on releasing their ghostly leader, Spiderlegs, from the Containment Unit. They kidnap Slimer, taking him into their hideout to barter with the Ghostbusters. S05E19 Revenge of the Ghostmaster 16/12/1989 A very angry Ghostmaster returns to capture the Ghostbusters. The guys find themselves surrounded by a force field wherever they go, a force field that shuts of all energy, including Proton Packs! S05E20 Loose Screws 16/12/1989 Slimer accidentally breaks one of the Ghost Traps, and rather than confess his mistake, allows the Ghostbusters to take the trap on a job… with scary results! S05E21 Slimer Streak 23/12/1989 A powerful, high-stakes gambling spirit enjoys toying with the Ghostbusters, trapping them in a steam locomotive at the original New York Penn Station. S06E01 Janine, You've Changed 08/09/1990 By comparing new and old photographs of Janine, the Ghostbusters discover she has physically transformed during the last few years! As Janine feels less and less appreciated and attractive to the guy, the more she lets her Fairy Godmother change and possess her. S06E02 You Can't Teach an Old Demon New Tricks 15/09/1990 All of The Great Strazinski's assistants keep disappearing in the magician's new cabinet trick and the Ghostbusters are called in to figure out the creepy cabinet's mystery. Soon enough they are transported into the realm of Gorgar, a ghost craving knowledge from a true magician. S06E03 Ghostworld 22/09/1990 When Janine, Ray and Slimer go to check out the new amusement park, Ghostworld, they are kidnapped by a demonic gatekeeper and possessed by his evil ghost companions. Unfortunately, Winston and Peter are led into the same trap! Can Egon and his over-nurturing mother rescue them? S06E04 The Haunting of Heck House 29/09/1990 In flashback, the Ghostbusters recount their most dangerous exploit: the time they spent the night in Heck House, the most haunted house on the planet, inhabited by thousands of ghosts! For their troubles they are to receive a million dollars apiece, provided they survive the evening until dawn, without their Proton Packs! S06E05 Mean Green Teen Machine 06/10/1990 The Mean Green Teen Machine, three reptilian-like surfing ghosts, catch a wave into New York City in order to satisfy their unquenchable craving for pizza. After a day of battling the three ghosts, the Ghostbusters decide to test Egon's latest machine which can provide any desired dream... or nightmare! S06E06 Spacebusters 13/10/1990 Winston is accepted to the National Space Program as a civilian expert in supernatural phenomena, but during his visit at the space station he comes across a class seven alien ghosts that is sucking the energy and atoms out of his fellow astronauts! S06E07 My Left Fang 20/10/1990 The mysterious disappearance of all of the ghosts in a haunted Transylvanian town is threatening their tourism and economy. The Ghostbusters are called in to bring the ghosts back, but they meet an evil Count who wants to stop them. S06E08 Russian About 27/10/1990 When the Ghostbusters visit Russia to lecture about ghostbusting, they are made scapegoats for the theft of the precious Nameless Book, a link to awakening a great evil. S06E09 The Slob 03/11/1990 A New York garbage strike on the hottest day of the year prompts the appearance of Glob, who teams up with the misguided Professor Dweeb, to bust his baby brother Sleaze out of the Ghostbusters' Containment Unit! S06E10 Deja Boo 10/11/1990 The sinister Professor Dweeb captures Slimer by posing as an innocent ice cream vendor. By using his new invention, Dweeb intends to read Slimer's mind and discover a ghost's vulnerability. Helplessly trapped, Slimer can only watch as the evil Professor scans through his memories. S06E11 Afterlife in the Fast Lane 17/11/1990 During an automobile race for charity, the Ghostbusters are tricked into entering a tunnel to the Netherworld run by a demon with a passion for high risk games. The team must now outrace and defeat the creature's ghoulish obstacles. S06E12 Guess What's Coming to Dinner 24/11/1990 While the Ghostbusters are on vacation, a grotesque ghost family moves into the firehouse. The guys return to find their home redecorated, all of their equipment thrown away, and the Containment Unit damaged! S06E13 Stay Tooned 01/12/1990 When lightning hits the Ghostbusters' television antenna, Ray and Slimer's favorite animated character, Sammy K. Ferret, comes to life! The selfish and tricky toon plays classical cartoon pranks, but hides a sinister secret! S06E14 Very Beast Friends 08/12/1990 The Ghostbusters take a cruise on Ray's brand-new sailboat and get caught up in a battle between immortal demons Kishnar and Anshar. They soon possess the bodies of Peter and Ray in order to battle to the death. S06E15 Busters in Toyland 15/12/1990 A demon trapped inside an ancient cuckoo clock snatches Louis Tully's nephew, Lawrence, from his birthday party. 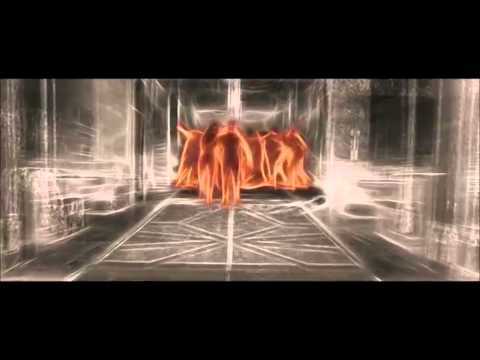 The Ghostbusters come to the rescue, but Peter is sucked into a dimensional portal. S06E16 The Magnificent Five 22/12/1990 Black Bart, a villainous cowboy-ghost from the Spirit World, takes over a Texas town, planning to drain its underground spectral energy well of a power source that will turn him into a full-fledged demon! S07E01 The Treasure of Sierra Tamale 14/09/1991 Peter's father shows up with a map to the lost treasure deep in the jungles of Mexico. Ray and Slimer agree to aid him, but the three hunters get more than they bargained for when they face the Winged Spirits guarding the treasure! S07E02 Not Now, Slimer! 21/09/1991 Slimer has been pestering they guys too much and they finally snap at him. He sulks off to the attic, just as the Ghostbusters are called out on a mission. When a powerful ghost heads for the firehouse to destroy it, a despondent Slimer is the last line of defense! S07E03 Attack of the B-Movie Monsters 28/09/1991 The Ghostbusters are called to Japan to investigate the sighting of several immense creatures in the Tokyo Bay. A local schoolboy, Kenji, tells the Ghostbusters that the creatures are identical to old Japanese movie monsters of the fifties! S07E04 20,000 Leagues Under the Street 05/10/1991 As a man who hates bugs, Peter is horrified with an ant farm arrives in the mail for Ray. Peter's phobia is put to the test when he is taken captive by the spirit of the long-dead Egyptian Insect God, Apshai, and his horde of giant insect slaves. S00E01 Pilot Episode 00/00/0000 Unaired pilot episode. S00E02 Deja Boo (1 Hour version) 00/00/0000 Full 1 hour version of the season 6 episode Deja Boo. The sinister Professor Dweeb captures Slimer by posing as an innocent ice cream vendor. By using his new invention, Dweeb intends to read Slimer's mind and discover a ghost's vulnerability. Helplessly trapped, Slimer can only watch as the evil Professor scans through his memories. S00E03 Aint Afraid Of No Ghosts: Creating The Real Ghostbusters 20/11/2008 A spooky and fascinating look at the origins of television's most popular animated spook show, including revealing interviews with the producers, writers, animators, directors, voice-over actors, and designers who worked behind the scenes to turn the worldwide hit GHostbusters into the top-rated groundbreaking The Real Ghostbusters series! Envie de parler de S.O.S Fantomes ? Les discussions sont là pour vous. Retrouvez toutes les informations sur S.O.S Fantomes lancée en 1986 : synopsys, casting complet, acteurs, scénariste, réalisateur. Découvrez des séries similaires à regarder également. Faites vous une idée de la série grâce à la note des membres et aux critiques des internautes.